Welcome to the Gated Community of West Hampton. Beautiful 4 Bedroom, 3 Bath, Bonus Room, and a 3 Car Garage. Home sits on an oversized acre lot and has a privacy fenced-in yard. Upstairs Media Bonus Room. Located in the highly desirable gated community of West Hampton. This home has approximately 2,900 square feet of living area, and the popular 3-way split floor plan. The pool/spa has a screened in covered Lanai that has access from three areas. In 2014 the kitchen, bathrooms (2 & 3), and laundry room were all upgraded and Berber carpet replaced. No CDD fees! 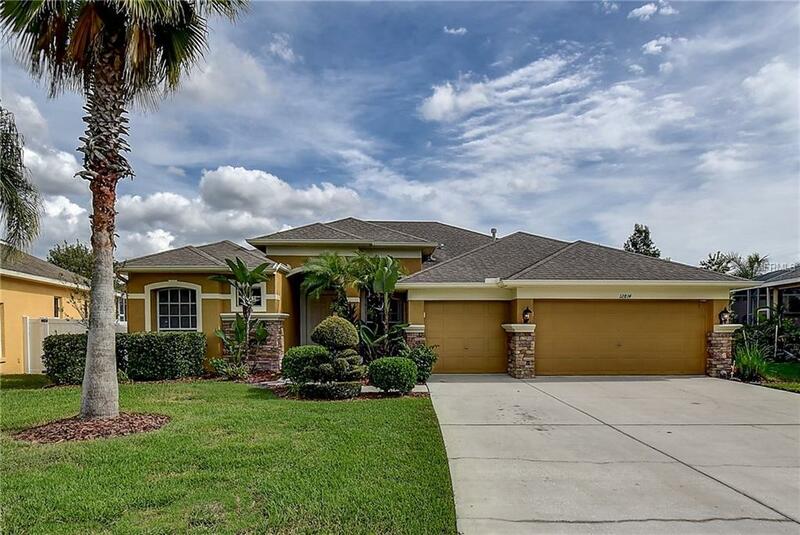 "A rated schools, lots of nearby shopping, parks, restaurants, and easy access to downtown, Tampa Airport, the Veterans Expressway and a short drive to our Gulf Beaches.